"Thank you very much for your contact on LinkedIn. Your website is very professional"
Thanks for all your help finding me just the right apartment and making my purchase go smoothly." "Sakan has been invaluable in sourcing investment property. I know I can trust them, which is important when you're actually resident overseas." "I don't know of any other real estate agent who combines the breadth of property available with such high levels of service." "Imad el Hassan's level of contacts and local knowledge is unique - if he can't get you the right property, no-one can!" "You've always found me good, trustworthy tenants and ensured the property is well managed and kept in good condition - thank you." "Choosing Sakan to sell my property was the right decision as I got a good price and the sale went through quickly and smoothly." "Your website property listings are well thought out and saved me a lot of time when it came to deciding what property I needed." 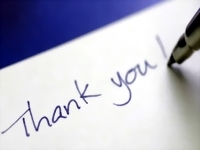 "Thank you for your help in finding me just the right commercial premises, and at an affordable rent too." The Lebanese Touristic Projects, s.a.l. "Your service has made returning back home to live in Lebanon much easier than I could have imagined." "Commitment and knowledge like yours is rare - thank you for all your assistance." "No other agent I've found has a better choice of properties across Beirut." "You seem to have access to all the best new-build apartments!"